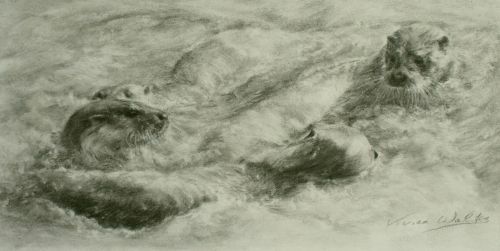 "Romp of Otters" was the winner of a David Cook drawing award at the National Exhibition of Wildlife Artists' 2016 exhibition. Original sold. For further information Email: vivien.walters@btinternet.com. All content copyright © 2018 Vivien Walters. All rights reserved. T&Cs.